This year, the theme for the class names was musical instruments. 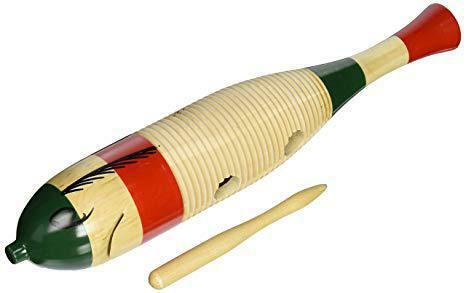 Our Year 6 class chose Guiro because it is a Latin American percussion instrument and we will be studying South America later on in the year when we will have the opportunity to listen to some music with guiros being played. We will update this page regularly and we hope you will return to see all the things that we have been up to in Year 6. As always, if you have any questions or concerns, feel free to pop in and have a chat or get in touch through the office. Home learning is set on a Wednesday and due back in the following Monday. Our PE days are Monday (Indoor) and Friday (Outdoor). Please make sure your children have suitable clothes for the cold weather. All children must have a change of clothes for PE. As you know, Year 6 will be going to Marwell Activity Centre in July 2019. We are all looking forward to the visit and would love every member of Guiro Class to come (see Miss Wildman / Mrs David / Mrs Beanland / Mrs Curtis for more details). If you have any questions, Mrs David, Mrs Beanland and Mrs Curtis will be happy to help discuss these with you at the start or end of the day.